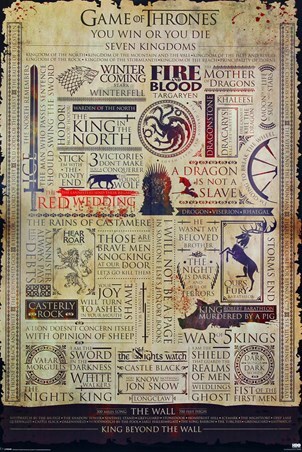 Fantasy Television Maxi Poster: Looking for a handy guide so you never miss a thing in Game Of Thrones? 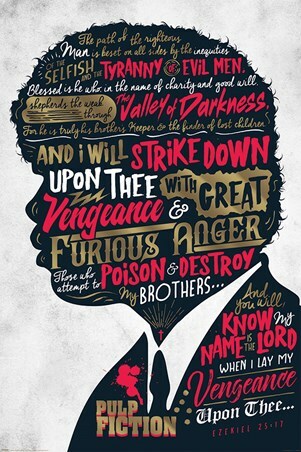 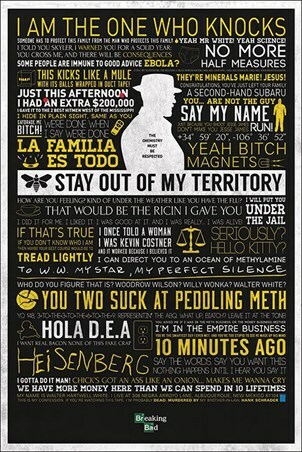 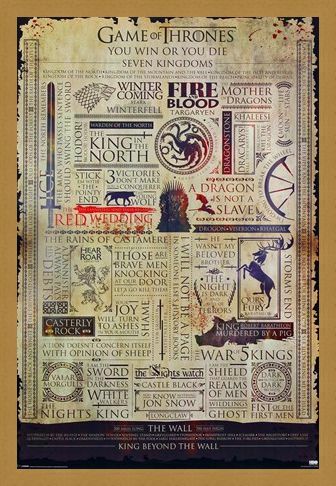 Need a useful list of the Kingdoms along with famous quotations? 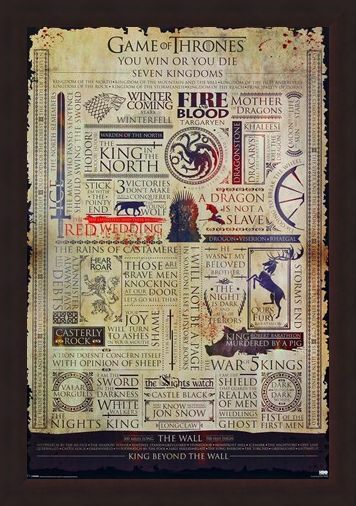 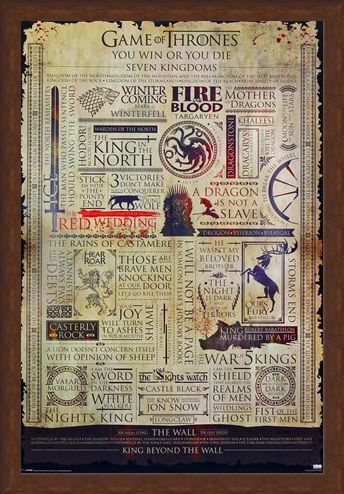 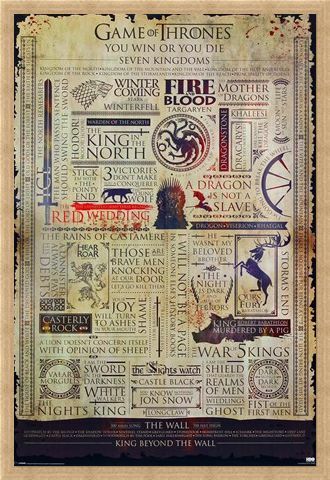 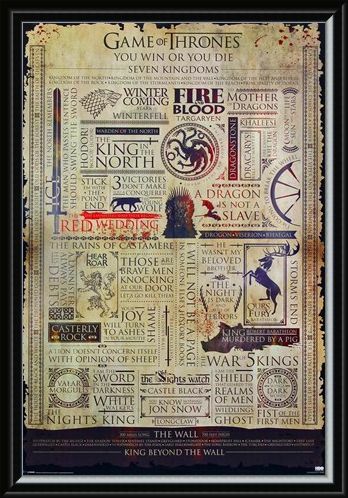 This awesome and vintage looking maxi poster illustrates the many phrases said by the various kingdoms along with a variety of symbols to represent each house. 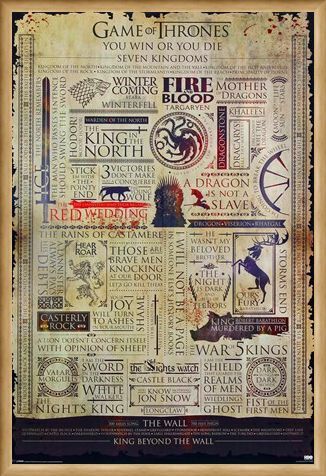 Lets be honest, Game Of Thrones can get a little complicated at times and it can be a little bit difficult to keep up however with this info-graphic you will never a miss a single detail! 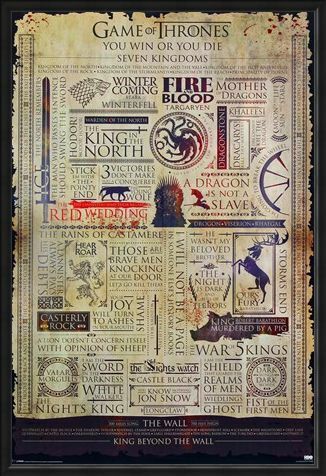 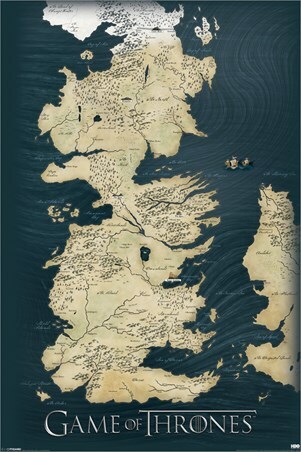 High quality, framed Kingdom Infographic, Game Of Thrones poster with a bespoke frame by our custom framing service.